Cataracts are internal clouding of the lens of your eye. The internal lens in your eye is normally clear, but cataract formation causes cloudiness that can blur and distort your vision. Colors, especially WHITE can tend to look YELLOW. 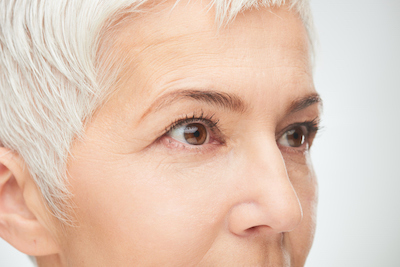 Cataracts are often attributed to the normal process of aging, but there are other factors that can cause or speed the formation of cataracts. These include exposure to ultraviolet light (UV), cigarette smoking, and using certain medications. Studies suggest that antioxidants in the diet may lower the risk for developing cataracts. Cataracts can be formed without any feeling of pain. Many people who have cataracts don’t realize that they have been forming for a long time until their vision is hazy, blurred or they notice that colors have shifted to be yellow. Sometimes people comment on how “yellow” their white painted walls have become. Because cataract growth is not felt, it often goes undetected until the condition is difficult to see easily with. Our doctors use advanced equipment and experience to detect or diagnose cataracts. Olympia Vision Clinic is partnered with top eye surgeons in Olympia to provide the most comprehensive eye care in our area. Occasionally, our patients may need procedures such as cataract surgery that require special care. Visit www.mycataracts.com to learn more.